PEACE, QUIET & PERMANANT PRIVACY! Escape the hustle & bustle and come see this rare property fronting on a gorgeous wilderness pond teeming with wildlife bordering the Ocala National Forest! 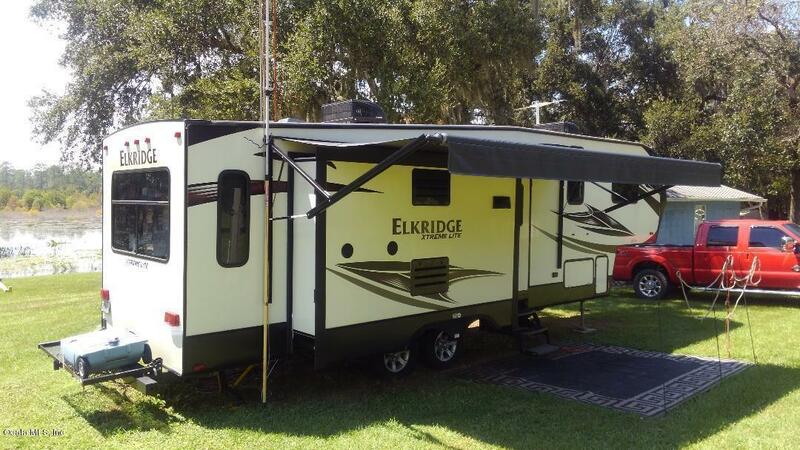 Featuring an elegantly furnished 2015 Heartland Elkridge 5th wheel RV. Also featuring a 22x28 fame building with full kitchen which could serve as a comfortable cottage. 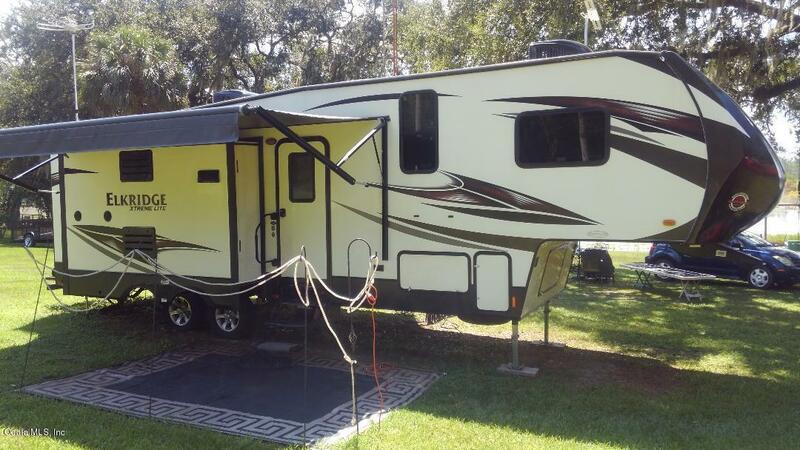 Includes a separate RV hook up. Also 2 refrigerators, 2 ranges, 2 microwaves, dish washer and upgraded Queen Bed. 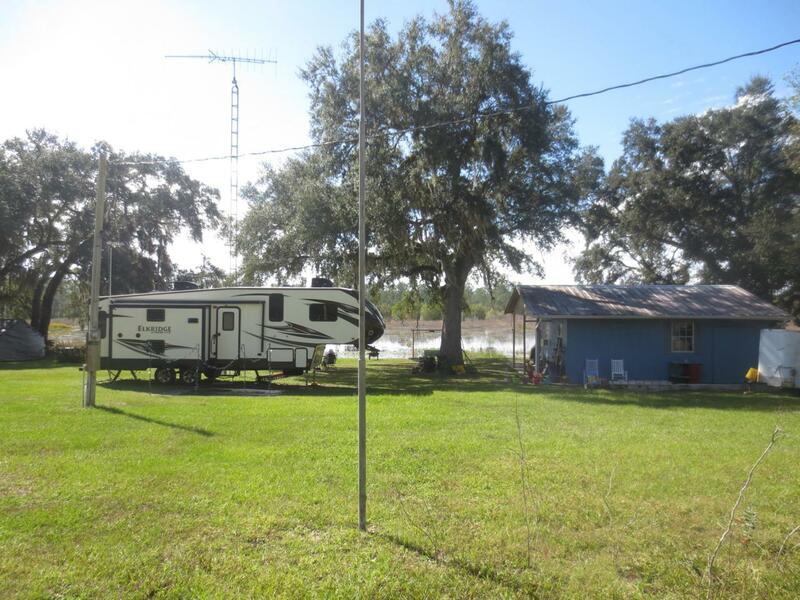 An excellent winter or full time retreat or 3 family compound. Also the Lake Eaton Recreation area dock & boat ramp just 2 blocks away. NO HOA! Hurry, it won't last long! The Ocala National Forest offers numerous recreational amenities. Please see photos and supplemental info attached.The Ocala National Forest affords you almost a million acres of Forest to roam, 600 lakes, 2 rivers. Juniper Springs, Silver Glen Springs, Salt Springs, Swimming , skiing, Big BASS Fishing, boating, camping, hiking, horse back riding and some of the best ATV riding anywhere. Daytona Beach is just 1 hour away. Let the fun begin! You need it! Listing provided courtesy of Daniel R Craig of Sun Realty Assoc.